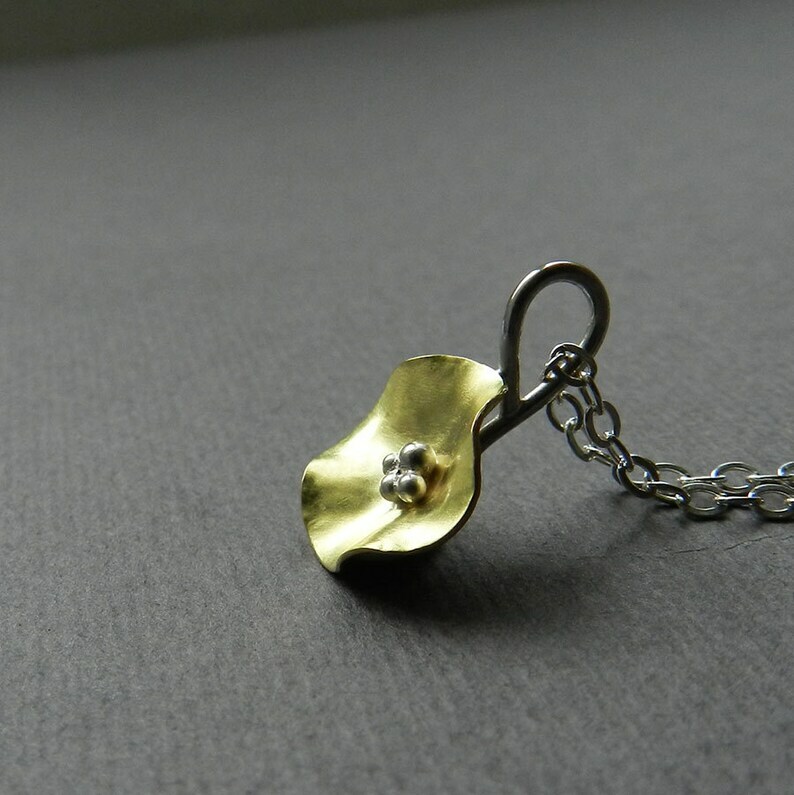 18k yellow gold poppy flower pendant. It is handcrafted from solid gold sheet, has a sterling center and hangs from a 17" sterling chain. The pendant is 1/2" in diameter.